Today’s high-tech home has many devices such as computers, tablets, televisions, printers, and telephones that are interconnected. These devices communicate with each other utilizing an assortment of wires, cables, radio signals (WiFi), infrared light, and use an even greater variety of connectors, plugs, and protocols. The method of connecting these products is becoming more complex every day. A relatively new wireless standard called Bluetooth is streamlining the process and simplifying our lives. When any two devices need to talk to each other, they have to agree on a number of points before the conversation can begin. The first point of agreement is physical. Will they talk over wires or wireless signals? If they use wires, how many are required? Once the physical attributes are decided, there are more questions that arise. How much data will be sent at a time? How will they speak to each other? This means developing a set of commands and responses known as a protocol. Bluetooth takes small-area networking to the next level by removing the need for user intervention and keeps transmission power extremely low to save battery power. It provides agreement at the physical level-Bluetooth is a radio frequency standard. It provides agreement at the protocol level. Products have to agree on when bits are sent, how many will be sent at one time, and how the parties in a conversation can be sure that the message received is the same as the message sent. The advantages of Bluetooth are that it is wireless, inexpensive, automatic, and has lower power consumption. Bluetooth sends and receives data via low-power radio waves in a band of 79 different frequencies (channels) in a frequency range between 2.402 Gigahertz and 2.480 Gigahertz. This frequency band has been set aside by international agreement for the use of industrial, scientific, and medical devices. A number of devices take advantage of this set of frequencies, such as baby monitors, garage-door openers and cordless phones. Making sure that Bluetooth does not interfere with these other devices has been part of the design process. Bluetooth is mainly designed for communicating over short distances less than about 10m or 33 ft. Typically, you might use it to download photos from a digital camera to a PC, to hook up a wireless mouse to a laptop, to link a hands-free headset to your cellphone so you can talk and drive safely at the same time, and so on. Electronic gadgets that work this way have built-in radio antennas (transmitters and receivers) so they can simultaneously send and receive wireless signals to other Bluetooth gadgets. Older gadgets can be converted to work with Bluetooth using plug-in adapters (in the form of USB sticks, PCMCIA laptop cards, and so on). The power of the transmitter governs the range over which a Bluetooth device can operate and, generally, devices are said to fall into one of three classes: class 1 is the most powerful and can operate up to 100m (330 ft.), class 2 (the most common kind) operates up to 10m (33 ft.), and class 3 is the least powerful and don’t go much beyond 1m (3.3 ft.). WiFi is also a wireless technology standard, but Bluetooth and WiFi serve two separate purposes. WiFi (which is the brand name for the IEEE.802.11 standard) was meant to replace high-speed cables, so it takes some setting up but supports high bandwidth. On the other hand, Bluetooth was meant for portable equipment and related applications. It’s great when you need to connect two devices with minimal configuration (often just pressing a button). When a group of two or more Bluetooth devices are sharing information together, they form a kind of ad hoc, mini-computer network called a piconet. Other devices can join or leave an existing piconet at any time. One device (known as the master) acts as the overall controller of the network, while the others (known as slaves) obey its instructions. Two or more separate piconets can also join up and share information forming what’s called a scatternet. Wireless is generally less secure than wired communication. Cracking wired communication is relatively difficult. Eavesdropping on wireless is obviously much easier because information is transmitted through the open air. All you have to do is be in range of a wireless transmitter to pick up its signals. Wireless Internet networks are encrypted (use scrambled communications) to get around this problem. How secure is Bluetooth? Like WiFi, communications are encrypted, and there are numerous other security features. You can restrict certain devices so they can talk only to certain other trusted devices—for example, allowing your cellphone to be operated only by your Bluetooth hands-free headset and no-one else’s. This is called device-level security. You can also restrict the things that different Bluetooth gadgets can do with other devices using what’s called service-level security. Criminals get more sophisticated all the time; you’ve probably heard about bluebugging (people taking over your Bluetooth device without your knowledge), bluejacking (where people send messages to other people’s devices, often for advertising purposes), and bluesnarfing (downloading information from someone else’s device using a Bluetooth connection) and there are more ways of hacking into Bluetooth networks still to come. Generally, though, providing you take reasonable and sensible precautions if you use Bluetooth devices in public places, security shouldn’t worry you too much. In 1994, Ericsson developed a new wireless technology to communicate between their cell phones and headsets. Jim Kardach, an engineer for Intel (who was also working on this concept) had been reading “The Long Ships,” by Frans G. Bengtsson, which is set in the Viking Age and includes Harald “Blåtand” Gormsson, King of Denmark and Norway. The Anglicised version of Harald “Blåtand” is Harald Bluetooth. He’s known for uniting dissonant Viking tribes into the Kingdom of Denmark. In a similar way, Bluetooth is thus meant to unite the many wireless communications protocols under one standard. 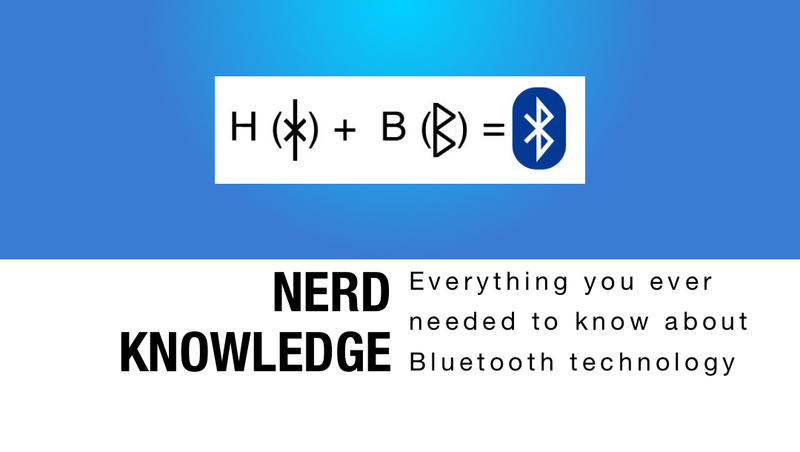 The Bluetooth logo is also a combination of the runes( letters of an ancient Germanic alphabet) for Harald Bluetooth’s initials, H.B. ← Sapulpa man arrested for domestic assault threatens to kill officer and his mother.